Submitted by Quest-News-Serv... on Sat, 05/16/2015 - 17:32. Earlier this week in Oak Harbor, Ohio, the Davis-Besse Nuclear Power Plant was shut down after a steam leak was detected in a non-radioactive portion of the facility. FirstEnergy Corp officials insist that the leak has now been repaired and it expect the reactor to be back up to full-power by today. No cause for alarm, right? This is not the first time that the David-Besse plant has been in the news. The facility has been the center of controversy since 2000, and critics say that it’s one of the country best examples of the danger presented by America’s crumbling nuclear infrastructure. Recently acknowledged that several US power plants are “embrittled”, that the material used in their construction was not up to par with the 1977 law requiring the use of “new” materials, and that brittleness will be their demise. 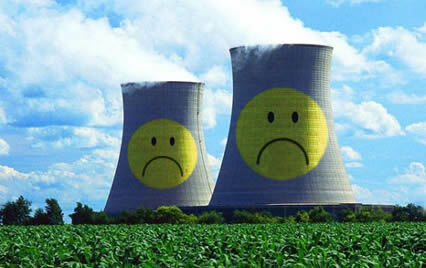 (1) The containment vessels in nuclear reactors always maintain their containment. In reality, Fukushima’s reactors lost all containment. (2) If radioactive gasses leak, they can only leak a maximum of 1% of their radioactive fuel per day. In reality, Fukushima’s lost 300% per day. In other words, the radioactive gases were leaving the containment every 8 hours. This is only the tip of a much bigger nuclear iceberg in America. We can conclude here that by ignoring the fundamentals of engineering material science – the nuclear industry is putting us all at risk.